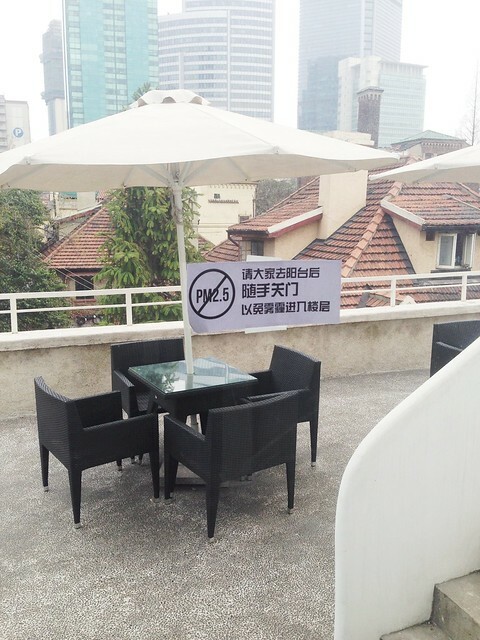 A young Chinese guy (presumably the one who put up the sign) came by our office to call our attention to the sign and ask for our cooperation. It was a little awkward because our window was open at the time (oops). It’s weird… there’s a very traditional Chinese belief in a need for “fresh air” (even in the depths of winter). This air pollution problem is now quite visibly butting heads with that belief. Mad! Well, sensible to a point, but it reminded me of the Taiwanese idea of ‘fresh air’ which, in their minds, equals having the air-con on. I lost count of the amount of people to whom I had to point out that fresh air did not come from the air-con blasting cold air at you when it was only about 10C outside anyway! make sure you have plenty of plants in the office !! that will keep the air fresh ! Captain Planet, he’s our hero! Gonna take pollution down to zero! 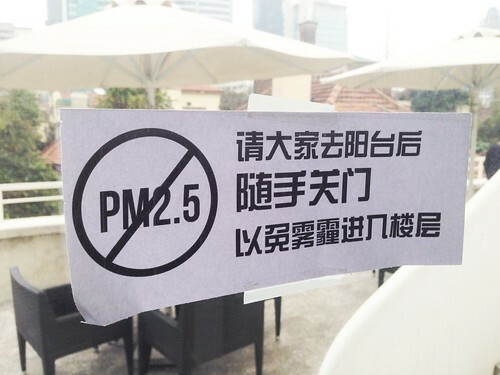 If that door seals so tightly it actually stops the PM2.5, then you’re probably better off on the balcony. Ah, the wumai!!! I think wumai has be one of the most frequently used Chinese words in China right now! I thought it was mainly a northern thing… we’ve been nearly asphyxiated here in Tianjin. Be it head aches, sore throat, wheezing, coughing, you name it we’ve had/have it. Really it has been tough lately. On topic, some related posts I’m not sure if you have caught recently, capture the scale of what the north is like now. Either way, when the smog has hit Shanghai, then you know we’ve really got a problem. Thank goodness the central heat has been shut off for the year up here… (Mar 15), that usually makes a difference, as much as we like heat, it sure does come at price, namely getting “black lung”.